Abraham Jaffe founded A. Jaffe in 1882 and created a lasting legacy. Now, the store is located at 47th St. in New York City, the international epicenter of the jewelry world. 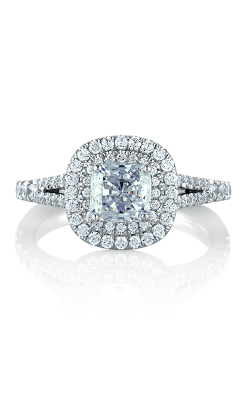 It takes a master jeweler with more than ten years of experience up to 80 hours to forge a single, impeccable engagement ring. Over time, A. Jaffe has become known for its signature design, which is a subtle squaring of the ring shank that maximizes comfort while minimizing twisting. 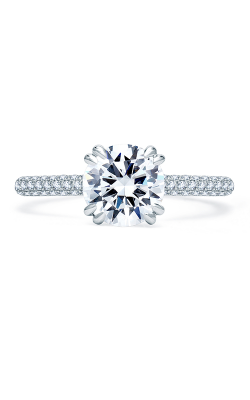 A. Jaffe's proves its commitment to both quality and social responsibility through its use of only conflict-free diamonds. The Art Deco collection is vintage-inspired art deco style with milgrain detailing, embodied in beautiful pieces that are simultaneously bold and intricate. For a more timeless look, we offer the Classics collection. 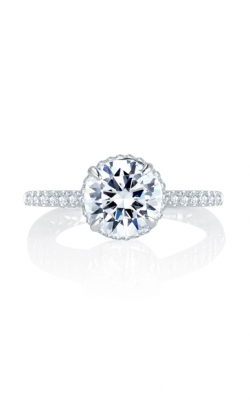 The sophistication of the solitaire silhouette never goes out of style and the bride will feel chic and elegant with an A. Jaffe classic engagement ring on her finger. In contrast, the Metropolitan collection features contemporary, modern designs that include bold and unique two-tone combinations, striking silhouettes, and east-west settings. The A. Jaffe Quilted collection is fashioned solely for women's ease and comfort. The soft and luxurious quilted interior band ensures a perfect fit with neither sliding nor pinching, and the diamond is perfectly balanced in the center. 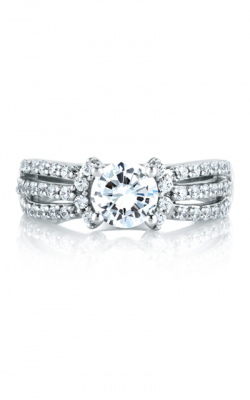 The Seasons of Love collection is another line of wedding bands designed for women. Each band is engraved with luxurious and intricate patterns of floral motifs that manifest in curvy lines of yellow, white, or rose gold. These rings are creative and whimsical for the bride who wants to skirt on the fashionable yet playful side of bridal tradition and flair. 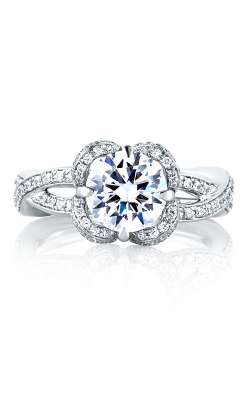 Why Shop for A. Jaffe Engagement Rings at Medawar Jewelers? At Medawar Jewelers, we continue the renowned legacy of the family patriarch, Chakib Medawar, a renowned watchmaker and master craftsman in Lebanon. Since 1978, Pierre and Catrine Medawar have provided both exquisite heirloom jewelry and impeccable customer service, now serving area residents from five locations in Okemos, West Lansing, Portage, Jackson and Brighton. Today, persisting in a culture of strong family values, their two children Jon-Pierre and Christine run the business. Contact us at www.medawarjewelers.com to peruse an exciting selection of wedding bands, engagement rings, GIA-certified loose diamonds, fine jewelry, and Swiss-made timepieces.